The New York Times (NYT) latest decision to sell display advertisements on its front-page raised a few eyebrows in the journalism world as it was seen by some as a commercial intrusion into the most sacred space of newspapers. However, in Singapore, this has hardly been the case. In 2006, The Straits Times (ST) started selling the section cover pages (except its cover page) and it has always sold the kind of ads that the NYT so recently embraced. 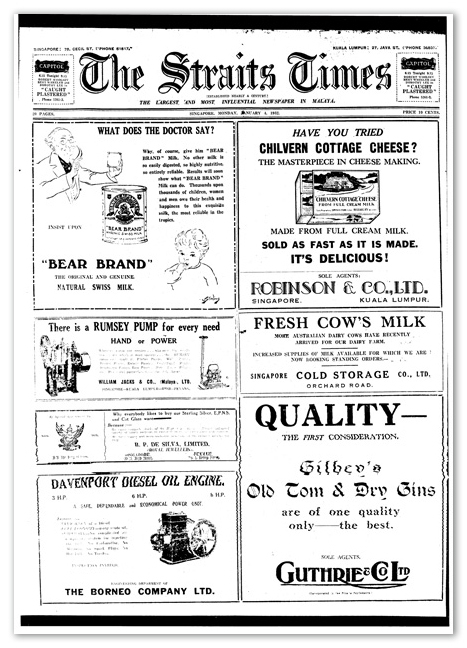 And if one looks even further back in Singapore newspapers, cover pages filled with ads were the norm. Here are the cover pages of the former The Singapore Free Press and The Straits Times from 1932. Ads play a big part in determining newspaper design, especially in ST. 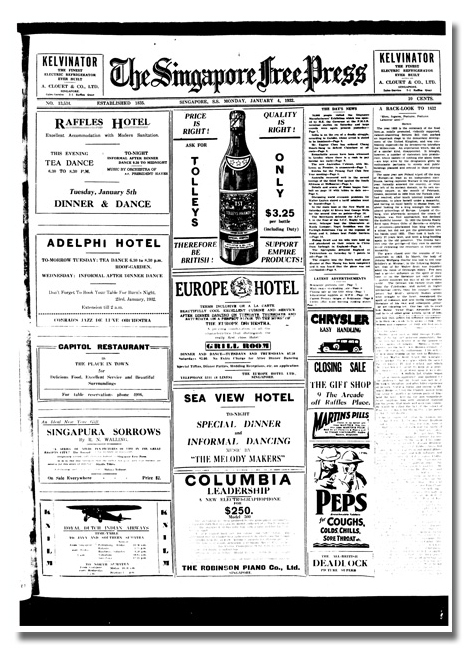 In my time there, the news pages always came to the designers with the ads already fixed on the page. The job of the designer was to place the news in reaction to the constraints. Since advertisements are sold at fixed sizes and rates, the space for design is usually just a inverted L-shape that limits the possibilities of experimentation as compared to a full blank page. In fact, how often do you see a news page on ST without ads? Not only do ads constrain the amount of space for news design, the scope for design is limited too as it has to keep itself plain and simple in relation to ads that are usually fanciful. And this is why I think pages on ST turn out looking very predictable as compared to newspaper designs that I love like Financial Times that have much less ads to contend with. Graphics are for the less educated?